Good Monday morning, readers. Home Thoughts would like to welcome author, Jennifer Beckstrand. 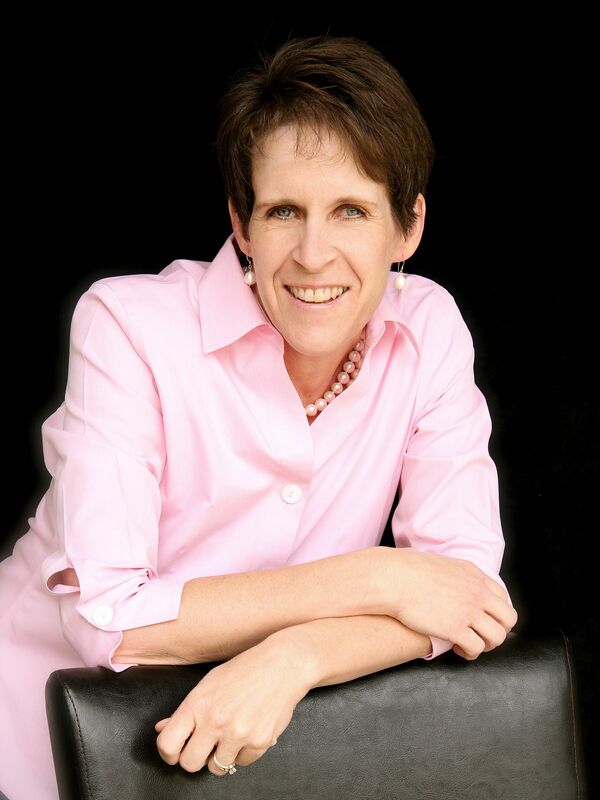 Jennifer Beckstrand is a member of Romance Writers of America and American Christian Fiction Writers and is represented by Mary Sue Seymour of The Seymour Agency. She has a degree in mathematics and a background in editing. Her first three Amish romances comprise the Forever After in Apple Lake Series (Summerside/Guideposts). Kate’s Song, Rebecca’s Rose, and Miriam’s Quilt are all now available in stores and online. She recently signed with Kensington Books to write three more Amish romances. The first will be out in early 2014. These books are set in Wisconsin in a charming place called Huckleberry Hill. Jennifer has four daughters, two sons, three sons-in-law, and one adorable grandson. She lives in the foothills of the Wasatch Front with her husband and two sons still left at home. Tell us a little about your latest book, Miriam’s Quilt: Miriam Bontrager has loved Ephraim Neuenschwander for as long as she can remember. As young teenagers, they make a secret pact to wed when they come of age. But when Miriam’s headstrong brother is arrested and her sister is discovered with child, Ephraim decides that Miriam, with her disgraced family ties, is not worthy of him. Heartbroken and shattered, Miriam vows to never again trust her affection to anyone. But will she surrender her heart when a man of simple faith and gentle ways shows her how to love again? Of course Seth Lambright thinks Miriam Bontrager is pretty, but she’s also too stuck-up to pay him any notice. That is, until she comes to his stable after Ephraim’s devastating rejection. Spending time with Seth’s horses gives Miriam comfort and helps her mend, but her presence nudges Seth dangerously close to falling in love. Unable to ignore the way she tugs at his heart, will he risk everything to show her that there is more to love than the pain of bitter memories? Miriam’s Quilt is now available in stores and online. Miriam’s Quilt received a Four-Star review in Romantic Times Book Reviews. For fans of Amish fiction, what are you working on now that readers can look forward to? I’m so glad you asked! I just signed with Kensington Books to write three more Amish romances. The first will be out in early 2014. The series, The Matchmakers of Huckleberry Hill, is about an elderly Amish couple who try to find suitable mates for their grandchildren. What could be more fun than throwing two young people together to see if sparks ignite? And no one would ever suspect two octogenarian Amish folks of mischief. In celebration of the release of Miriam’s Quilt, Book 3 in Forever After in Apple Lake, my dear sister, Allison Sharp, editor, Phd., and quilter extraordinaire, is making a small version of the quilt that Miriam makes for Seth in the book. It is wall-hanging size. The quilt is first prize in the contest. Second prize is all three of my books in the Forever After in Apple Lake series. 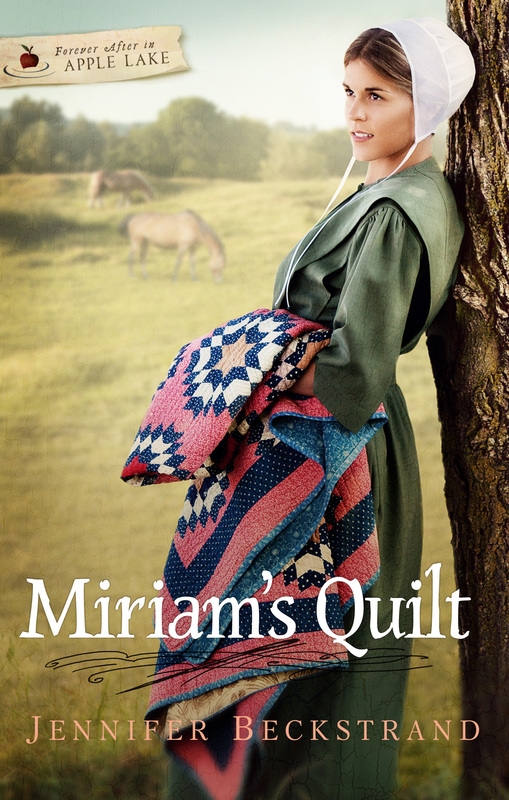 Third prize is Book 3–Miriam’s Quilt. To enter the contest, simply “like” my facebook fan page: Jennifer Beckstrand Fans. That’s it! Everyone who likes my page will be entered in the contest. If you “share” my page, your name will be entered twice. If you already like my page, you are automatically entered! Contest ends on March 8, 2013 and winners will be announced March 7. Question to Home Thoughts readers: In Miriam’s Quilt, Seth tells Miriam, “People are always more important than what they’ve done.” How have you seen and applied this truth in your own life? Please post a comment HERE on this blog to be entered in a drawing for Miriam’s Quilt. Drawing will be next Monday, March 4th. And don’t foget to “like” Jennifer’s Facebook page for more great chances to win. Have a great week, readers.